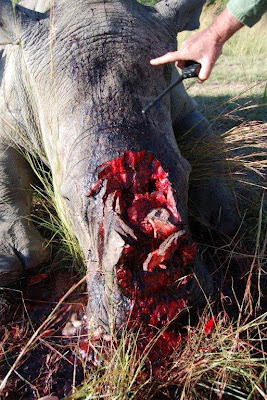 Otto's Adventure: Horrific Slaughtering of our Rhino Cow!!! 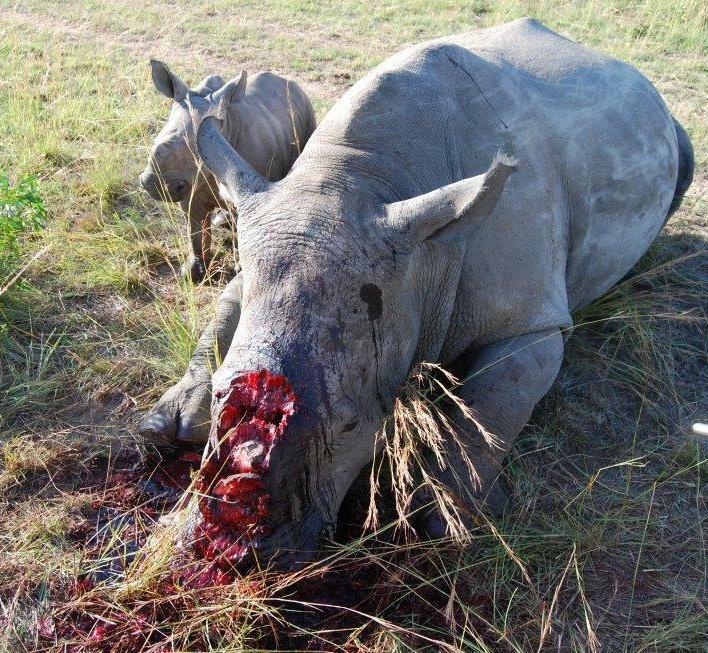 Just raising awareness about the rhino poaching going on - it has to stop! We are really sorry about your loss. Please keep us updated about the calf? 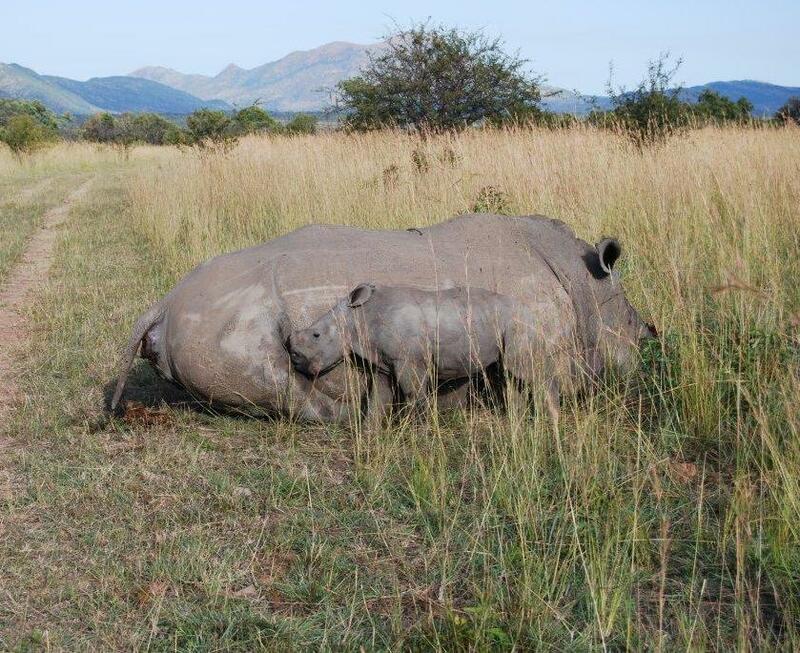 Hi Otto, if you need any help with baby please contact Yvonne & Rocco Gioia at Elandela Rhino Survivor Trust 082 468 5092. So terribly sorry to hear of your tragic loss. I cannot believe this happened again. How on earth could they get to her, it is a well know statistic now that especially mothers with calves are the target. Was she not closely guarded 24/7? I sincerely hope the calf will be allright, please do not hesitate to call on Karen Trendler. Baby rhino, like baby elephants are extremely sensitive to stress,as I have seen in my research. They may appear ok on the outside but inside is an altogether different picture. It is too young to take any gamble on. In re to the statement that if you cannot make an income of them you cannot save them and therefore people must support the legal trade is shocking especially now that the subject is off the table anyway. 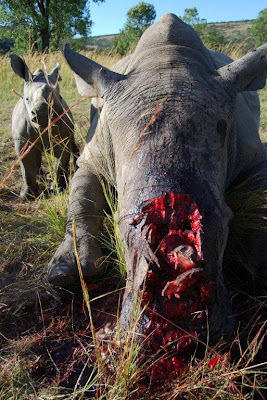 This keeps the focus away from where it needs to be on stopping the poaching.That is no 1 on the list. Instead of creating another campaign, I have added some existing initiatives on the left hand side of my blog where donations can be made. Just click on the logo. If you are like me and would like to know that your money will be well spent and for the right purposes, there's a short description below the logo. As for rhino horn trade - it's off the table and will never work. Big up to Kenya that has burned their ivory stockpiles last year and Gabon that will do the same soon. 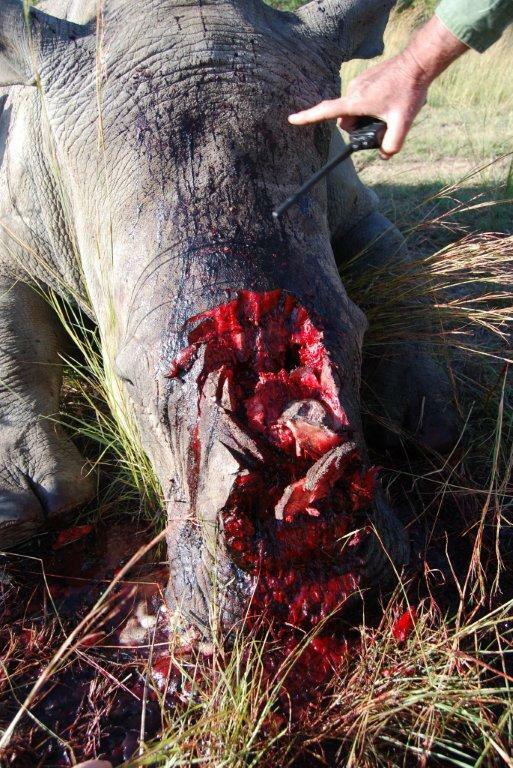 Make the possession, poaching, sale, and transportation of rhino horn a capital offense with a brutal form of execution. I agree with you, but somehow don't think that it will fly in South Africa. 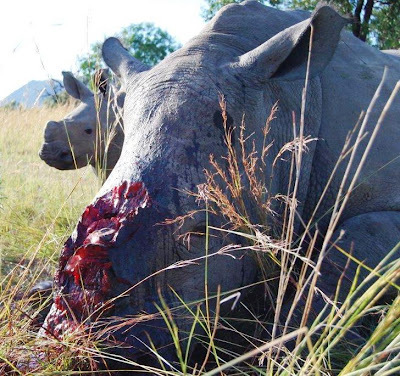 The government isn't serious enough about stopping poaching. This was the first story I saw when i logged onto FB this morning!! This has to be one of the saddest things I have seen in a while (since Kariega's Thandi and Themba). How can anyone think that this is normal? They are disgusting beasts that cannot be called HUMAN!! I hope that we can get this carnage STOPPED! Thank you for your comments. I'm really sorry if the heading caused some confusion, but I don't own a Game Reserve myself. I have however notified the owners of Dabchick Game Reserve where this happened and hopefully they will find the time to respond to you. On one of the photos the calf is standing next to his mother (Big Bertha) trying to drink, bumping against her. They say that it sounded like he was crying and wouldn't leave his mother. He later got tranquilized and put in a crate. He is now at a rehabilitaion area in Thabazimbi. The farm area is divided into sections and get patrolled by armed guards. Just remember that most of these game reserves are huge, in (this case 1000HA plus) so it is very possible for poachers to get past the guards. Often times they come in, heavily armed in a helicopter, poach and leave. Agree with PixelBabe: "They are disgusting beasts that cannot be called HUMAN!!" 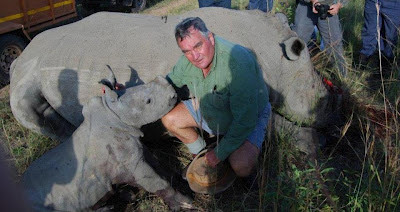 Hierdie is barbarisme op sy ergste. Dankie Otto vir wat jy doen om diere te beskerm. I’m very pleased to report that, our little surviving Rhino has started adjusting well. He has started drinking milk and has even made friends with another Rhino calf at the facility. Thank you for all your prayers and well wishes they have been answered.